Located in the 121 year-old Gendron building on Richmond Street in Toronto’s east end, Giants and Gentlemen’s new space is designed to accommodate the growing agency’s ever-expanding staff. The building’s substantial brick and beam bones created the perfect backdrop for a modern workspace with mid-century modern furniture and industrial accents. 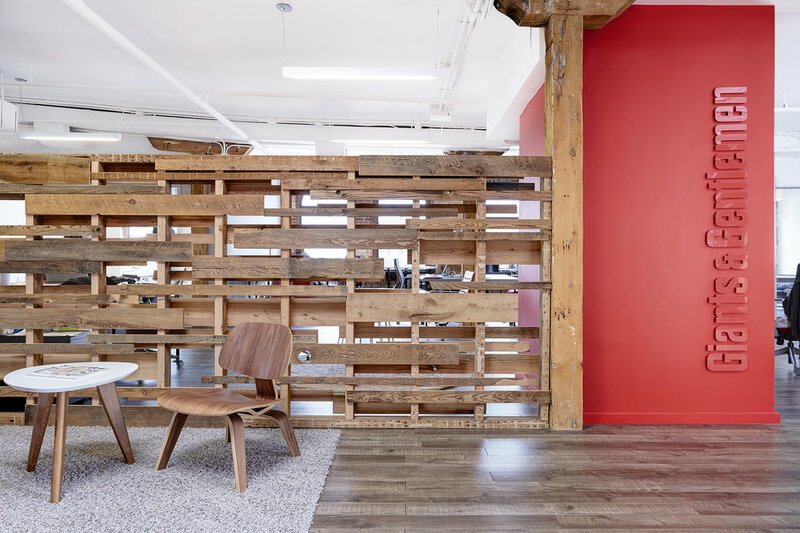 With the agency’s red, white and grey colour scheme reflected throughout, the new office is cool and cohesive, and includes tons of space to both work and play.